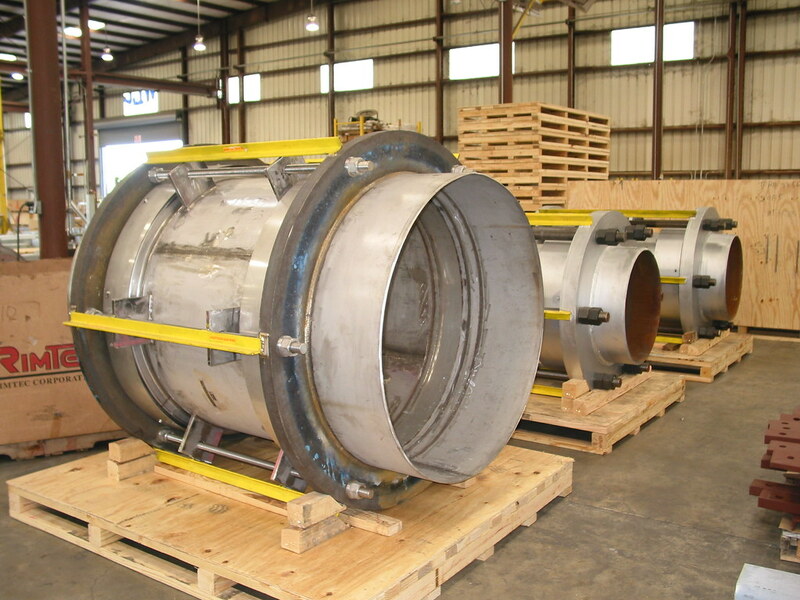 U.S. Bellows, Inc. recently designed and manufactured five tied universal expansion joints ranging in size from 30 to 48 for an oil and gas company in France. These expansion joints weigh between 2400 lb. and 3200 lb. and are fabricated from 304-321 SS bellows. They are designed for pressures ranging from 55 to 650 PSIG and 148°F to 300°F operating temperatures. To ensure quality, the joints were 100% X-Rayed, 100% dye-penetrant, and hydro-tested at 83 to 975 PSIG.